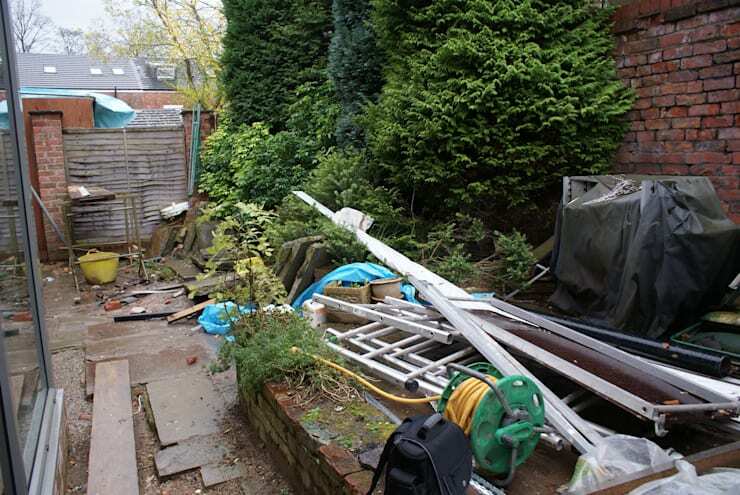 This small section of the garden was filled with useless clutter like broken tools, unused equipment, some nondescript poles and even old pieces of clothing. 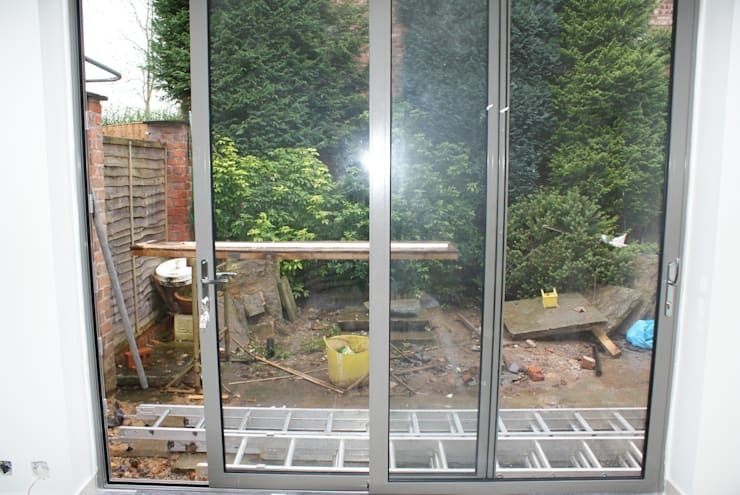 This prevented the homeowners from opening their curtains to enjoy the greenery! Rubble and an unstructured layout made this even worse, yet the designers saw much hidden potential. The corner had become a dump of sorts, where all discarded items would automatically find their way. 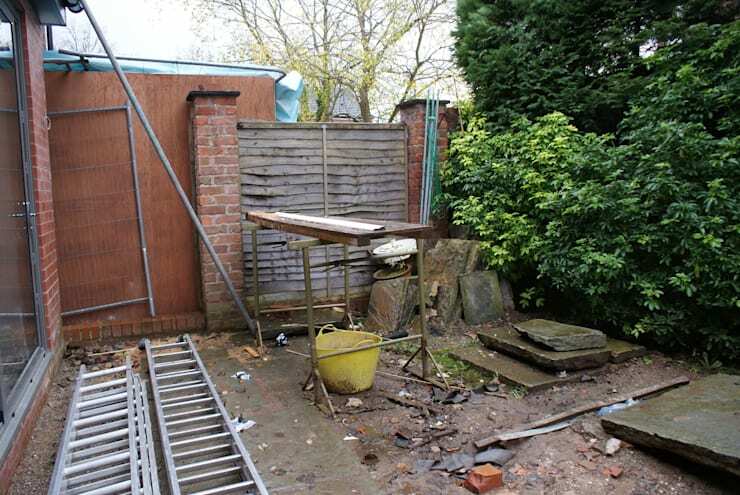 This area was a serious eyesore, not to mention health and safety hazard. From the large glass sliding doors, the homeowners could only see discarded items, rubble and filth when they opened their curtains. This far overshadowed the pretty greenery of the space. The designers started out by cleaning up the place and removing all clutter, so that the underlying filth could be removed. The area was then neatly lined with Scandinavian-style wood, which became the stylish deck of this space. The brick wall was given a clean up, too, and pretty shrubs were placed in the planter along the wall. 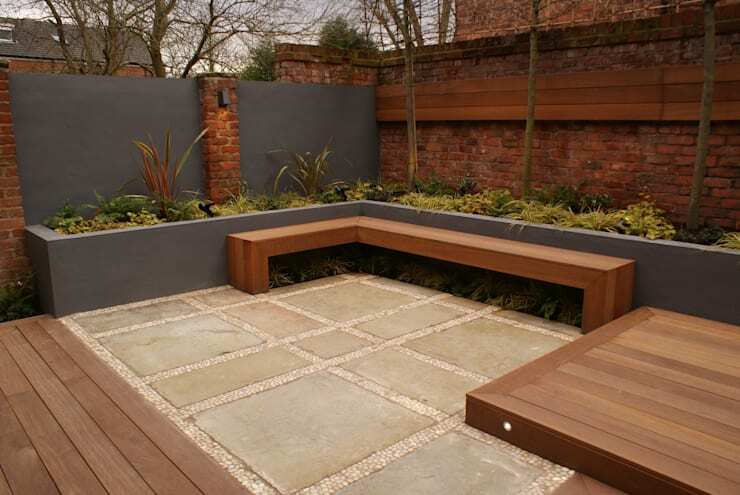 Our favourite element is the L-shaped bench that was added on one side. The brick walls and stone-tiled platform ensure there are many rustic elements at play. Yet the designers decided to inject some modern fun into the space, courtesy of the chic grey walls lining the planters and the boundary. This look is finished perfectly with some simple red brick columns. The detailing of the space is what really grabs your attention once you step closer. 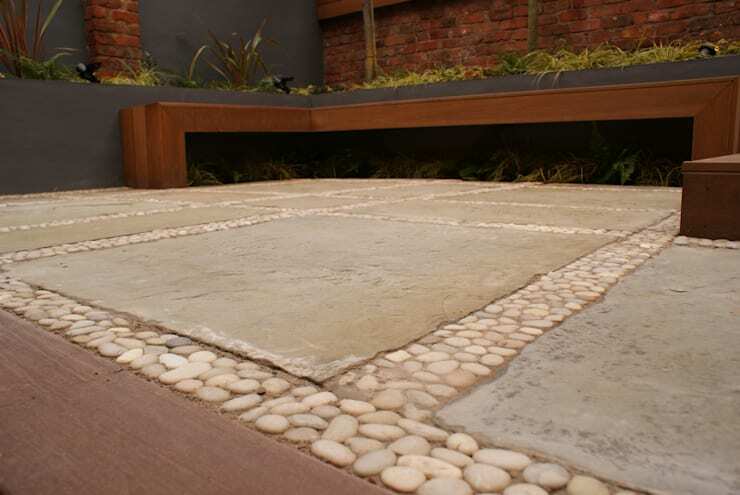 The courtyard feel is defined with large stone tiles and their pebbled frames. The wooden elements also get a lighter edge, thanks to this floor. 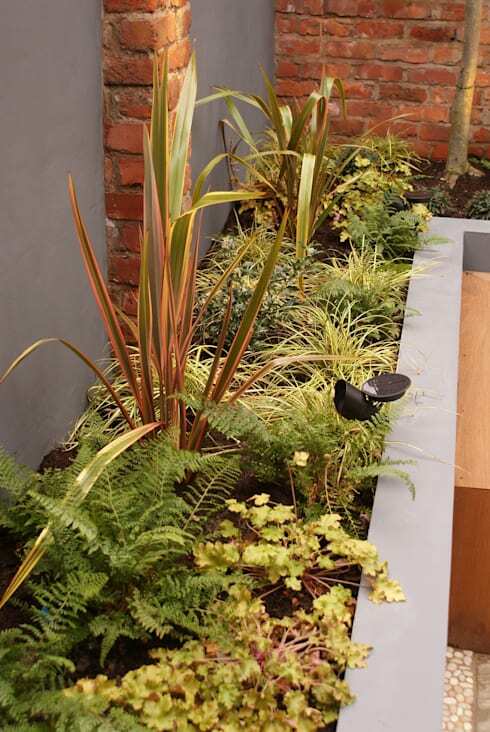 Various plants and shrubs have been put in place so that a lush and eclectic border is achieved. 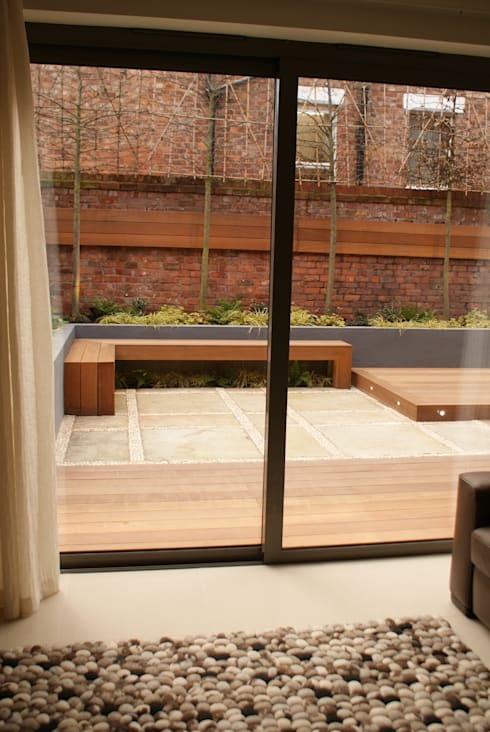 The grey lines of the planter and walls ensure that a sleek edge frames this beautiful green spot. All in all, the designers have managed to do a great job of renovating this area. From a shameful rubbish dump, this corner has become the perfect spot for numerous cups of tea and conversation! 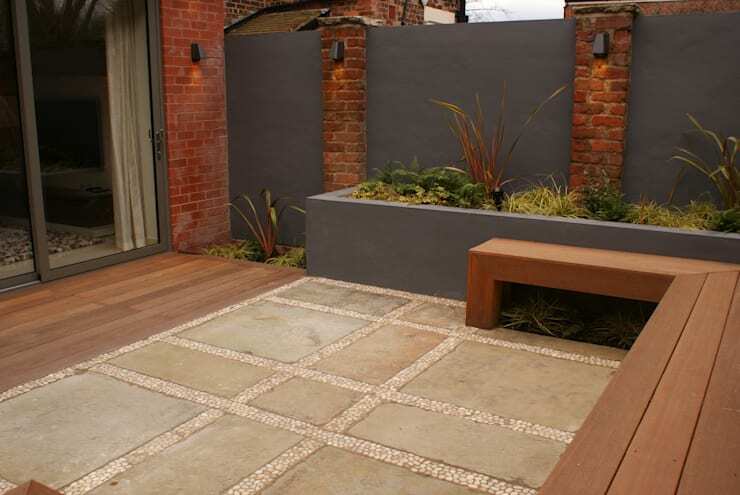 Has this patio transformation given you some ideas?